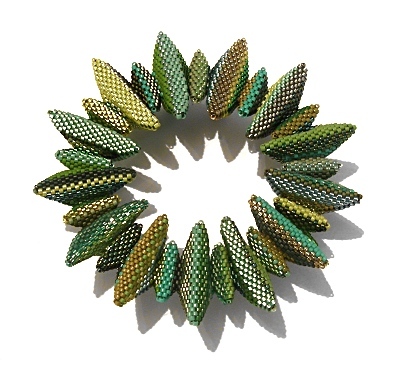 This bracelet forms part of my Geometric Beadwork Series. It took me 13 months (from November 2006-December 2007) to bead. It originally stared out slightly differently but I felt it was too similar to pieces I had previously made, especially Geometric 3-4-1 and Geometric 3-4-2. So I adapted it slightly to include two different sizes of triangles.